One year after Donald Trump’s win, this election day gave us all a little hope. Inspiring and diverse Democratic candidates across the country made historic wins on Tuesday, in what looks very much like pushback against the Trump administration and what it represents. Women, in particular, had an excellent election. Thousands of women signed up to run for office following the presidential election, and it looks like that decision turned out well for all of us. Now, many more of them are right where women belong: in the government. These are just a few of the incredible, groundbreaking women who made history this election by becoming firsts, whether that’s first woman elected to their position, first transgender woman, or first African-American woman. 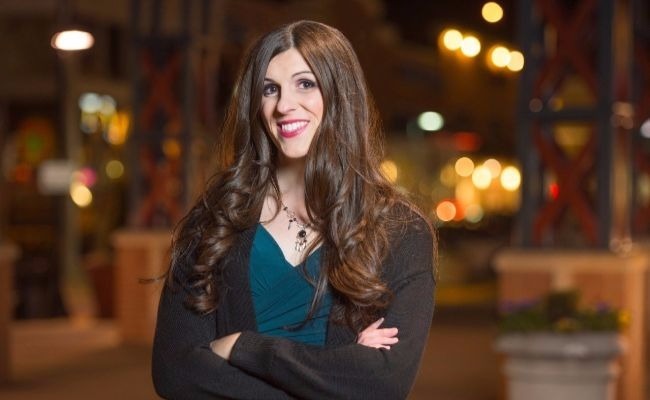 Danica Roem became Virginia’s first openly transgender state lawmaker when she unseated the state’s self-described “chief-homophobe” and 13-term Republican incumbent, Bob Marshall. Marshall proposed a transphobic bathroom bill in January, consistently referred to Roem with male pronouns, and refused to debate her throughout the campaign. Democrat Andrea Jenkins was elected to the Minneapolis City Council with more than 70 percent of the votes. She became the first openly trans black woman elected to public office in the United States. “I’m really proud to have achieved that status and I look forward to more trans people joining me in elected office and all other kinds of leadership roles in our society,” she told the Washington Post. Sheila Oliver has broken yet another record. On Election Day, New Jersey chose her as its first female African-American lieutenant governor. She had previously become their first female African-American Assembly speaker and was only the second in the nation. Framingham, Massachusetts recently voted to become a city and on Tuesday they elected Spicer as their first-ever mayor. A former public school teacher with a doctorate in education, Spicer is the Vice President for Advocacy and Educational Partnerships at the Museum of Science, Boston. Democrat Vi Lyles defeated Republican candidate Kenny Smith with 59 percent of the vote to become Charlotte, North Carolina’s first female African-American mayor. After 266 years, Manchester, New Hampshire finally elected its first female mayor. Craig lost to Republican incumbent Ted Gastas by just 64 votes when she ran against him in 2015. This year, she beat him by a landslide. Both women beat Republican incumbents to become the first Latinas in the Virginia House of Delegates. Originally from Peru, Guzman moved to the U.S. as a single mother with only a high school diploma. A former Vietnamese refugee, Tran just became the first Asian American woman in the Virginia House of Delegates. “I made the decision to run when [my] baby was a month old and I absolutely thought the values that my parents had risked their lives for were under threat,” said Tran in her victory speech. Thank you all you good ladies . I just hope that voters voted for the most qualified person instead of who was LGBT. I don't care what sexual orientation they are as long as they are qualified to do the job!